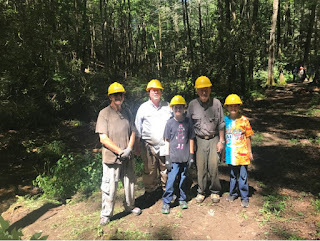 Ron Thomas, Glen Abernathy, Glen’s Grandsons Gehrig & Jackson Abernathy, and Bruce Johnson were the Foothills representatives at todays workday. 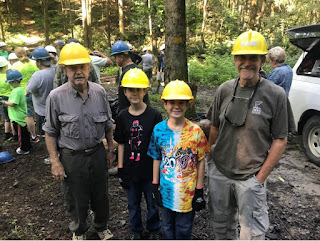 Overall, a good turnout I believe 4 projects were completed. Here are a few pictures from the project we completed. Our guest speaker last night was Kathy Church who is the Wildlife Interpretive Specialist/ Programming Coordinator. She provides youth education for the surrounding 11 counties. She is part of the Wildlife Resources Division - Georgia DNR and works out of Smithgall Woods. A large part of her funding comes from the local chapters of TU to support her youth programs for youth education. Our chapter made a $3000 donation to help support that effort. 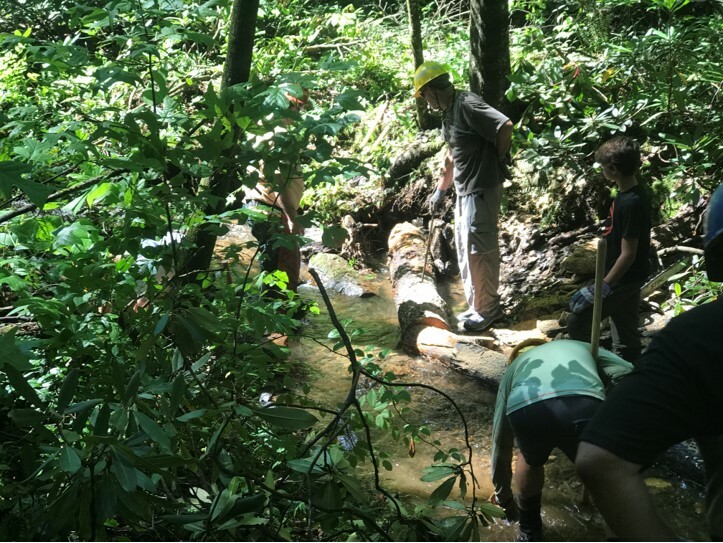 Trout Unlimited in conjunction with the National Forest Service and the Department of Natural Resources will hold a stream remediation workday at Wilks Creek on Saturday, July 29, 2017. The Upper Chattahoochee Chapter of Trout Unlimited will lead this activity and work will start at the stream at 9 am and will end around noon with a BBQ lunch provided. 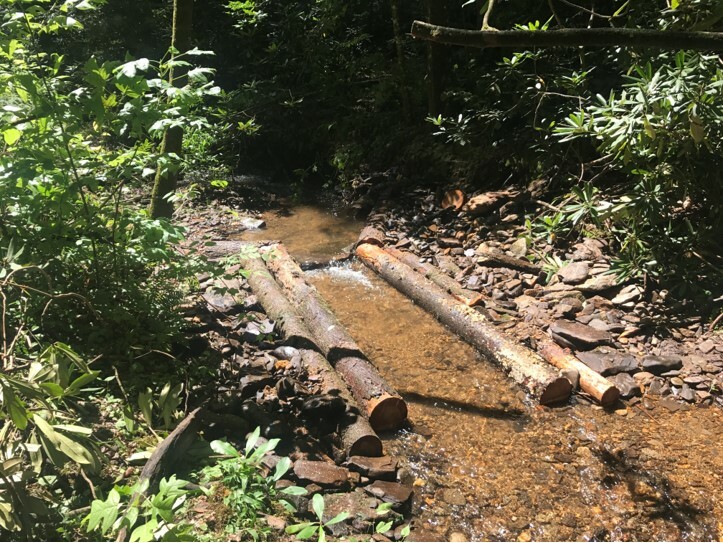 In stream structures will be built under the direction of the Forest Service to improve stream habitat for brook trout. Your participation would be greatly appreciated. The more volunteers, the more we can accomplish and the lighter the work will be for those participating. Last year we had over 50 volunteers and that is the goal for 2017 when we start work on a new stream Wilks Creek. 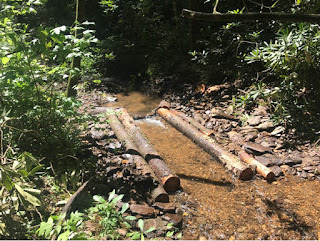 Wilks Creek is about 20 minutes north of Helen and the easiest way to get there is to take Main Street through Helen and follow 17 & 75 signs North. Continue on this road till you get to mile marker 15. The mile markers are on the right side of the road and are small green signs. Just about 100 yards past mile marker 15 on the left is the entrance to the Chattahoochee National Forest of the WMA. A sign marks the entrance to an unpaved road on the left. Our project work will be approximately 2 miles down that road. Parking will be limited along that road. However, just a little further north past mile marker 15 is where the Appalachian Trail crosses the road and their is a parking lot on the right. We can park and car pool into the work area. Please try to arrive at the parking lot around 8:30 am. So we have enough BBQ for all our volunteers, please let me know that you plan to attend. Either give me a phone call or send me an email. We look forward to working with you on this project and thank you. Most of us know Kathy and have worked with her on a variety of projects for Smithgall Woods. 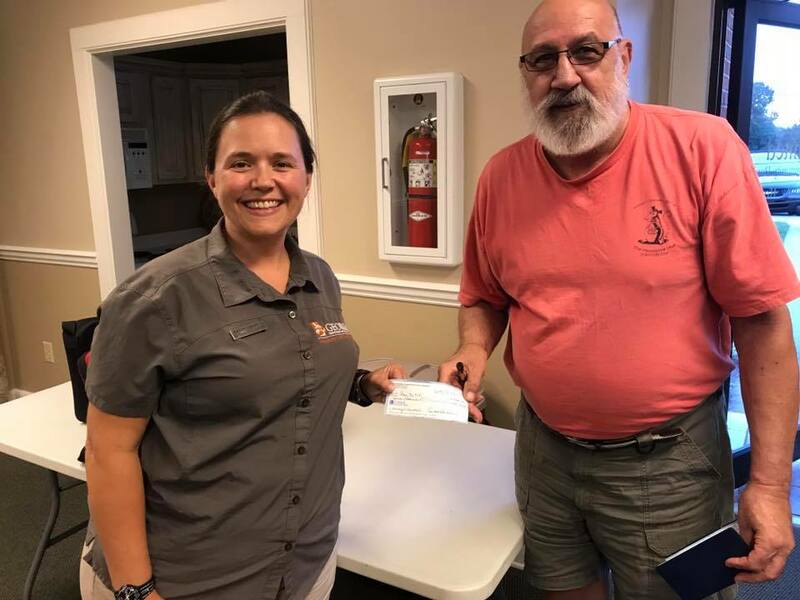 Foothills TU has historically been a staunch supporter in both financing and providing volunteer labor for Smithgall and the Youth Education Program. We've invited Kathy to come speak to our members about how we can be most effective in helping her reach as many students as possible. We hope you'll not only plan to attend Thursday's meeting but bring someone with you.